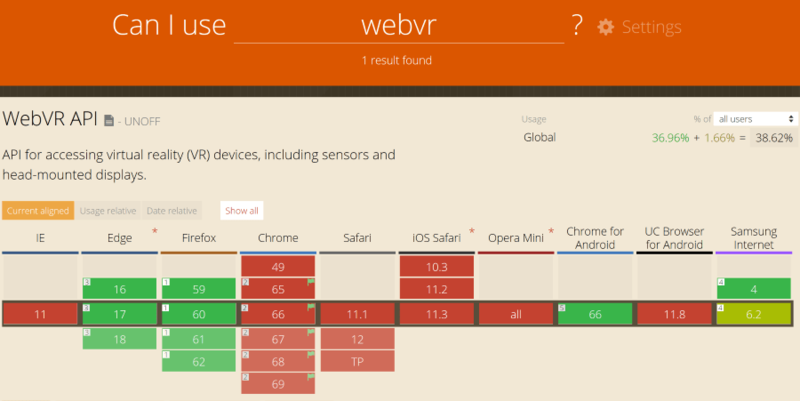 The support across the main browsers looks like this at the time of writing but what is not captured here is that in order to use WebVR on a HoloLens device you need to switch on WebVR support in the about:flags. If you are interested in the WebVR spec then take a look here for all of the details. 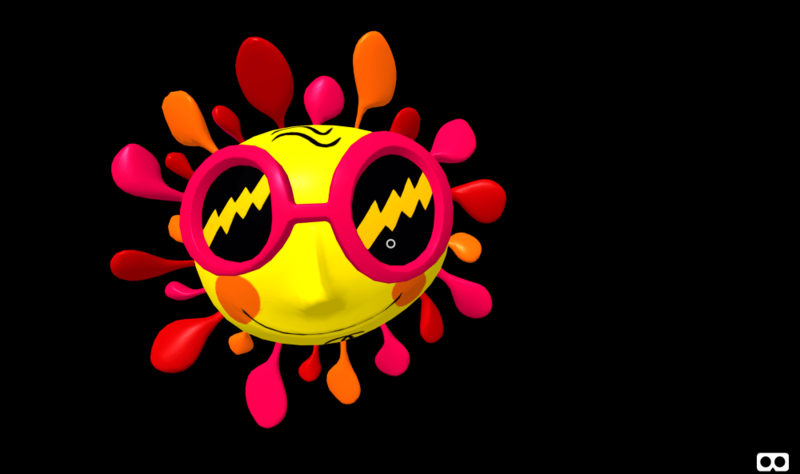 To get a glTF model we can use Paint3D to access the Remix online model catalogue, import a model and then export as glb. So, put on your HoloLens, go to that page and click on the HMD icon in the bottom right and you will see a giant funky sun in front of you!